Ronimo Games Forum • View topic - Swords and Soldiers 2 Steam Version? Swords and Soldiers 2 Steam Version? Post subject: Swords and Soldiers 2 Steam Version? Hello there, guys and gals. Six months ago I got Swords and Soldiers for Steam and I absolutely loved it. Are there any plans to release the second installment of the series for the PC as well? Post subject: Re: Swords and Soldiers 2 Steam Version? Still no news for a steam version ? Sword and Soldiers was really cool, I would love to play Sword and Soldiers 2 ! 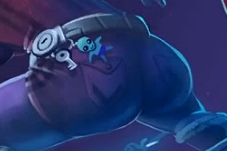 i agree, especailly if they added another swords and soldiers skin to nauts if you have the game. This would be a day one purchase for me (double purchase if it would have online functionality). I cannot believe that this is not out on PC. I really want to buy and play this game but who the hell has a Wii U! Ronimo, please, release it on PC.